We’ve all seen the images on television. The surprise appearance of a military parent returning from war. The grateful hugs and tears of the relieved child. Do you ever think about what happens next? Do you wonder what it’s like to be part of a military family? Approximately 1.76 million children know the answers to those questions. That’s the number of children in the United States living in military families. They know first hand the cost of service. Some lost a parent. 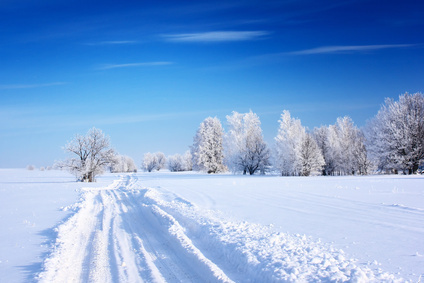 Others live with parents who came home injured or unable to provide for them. Many endure the loneliness of lengthy separations. And the isolation that comes from frequent changes of neighborhood and school. These children sometimes find it difficult to cope with the challenges of military family life. When this happens, their behavior at school may change. They may be more impulsive or aggressive than usual. Or appear rigid and incapable of compromise. They may find it difficult to complete tasks or sustain interest in classroom activities. 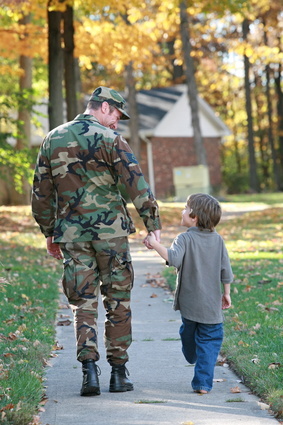 Know who is caring for the children in military families who attend your school. Grandparents or other guardians care for some children when both parents are deployed or a single parent is deployed. Know the school history of children living in military families. State Standards and Core Curriculum can vary. Be sure there are no gaps in children’s instruction that put them at a disadvantage in your school. Stress has serious consequences for children. It can result in a heightened state of arousal that interferes with problem-solving and higher order thinking. Chronic stress changes children’s capacity to think clearly. Their ability to recall information, set goals, or learn new information is compromised. Helping affected children acquire social and academic competence requires teaching them stress management techniques such as deep breathing, yoga, and other types of self-soothing interventions. These interventions focus on relaxation and decreased secretion of stress hormones that fuel the body’s ‘fight-flight-freeze” response. “Tend and befriend” interventions also reduce arousal by tapping into the body’s natural tendency toward affiliation and social support. Teaching children how to care for themselves and one another allows them to use social support to buffer the effects of stress. While some children resist the idea of seeking protection from others, the desire to belong is universal. Here are some strategies you can use to encourage children to “tend and befriend”. 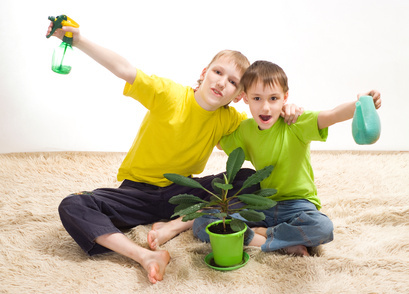 Teach children how to care for things in their environment- toys, supplies, plants, and pets. Praise them for a job well done, making sure to specify the caregiving behaviors you noticed. Encourage children to participate in caretaking community activities like giving outgrown clothing to a local charity, joining in a fund raising walk, working with others to clean up the neighborhood playground. Read children stories about people taking care of one another or relying on others to help them solve problems. Create opportunities for children to interact with older adults by visiting a nursing home or becoming pen pals with one of the residents. Teach children how to ask one another to play. Use scripts to teach children key words they can use to show concern and empathy for one another. Model conversational skills by asking clarifying questions, maintaining eye contact with the speaker, and listening when another person is speaking. Involve children in collaborative activities several times a day.